Offering the top brands in the marine industry didn't happen overnight. H&H Marine acquired these highly respected products thru decades of dealing with various manufacturers and learning how they were better, and avoiding the ones not meeting our expectations, or yours. This helps to ensure a more enjoyable experience for everyone. Our top of the line brands include Key West, Pro Drive, Weld-Craft, Blackjack, Frontier, Mr. B's and now introducing Ranger Bay and Aluminum Boats. Our experienced full-service department of factory-trained mechanics have the expertise to quickly get your outboard running and back on the water. Our certified team of mechanics are MasterTech rated and eager to diagnose and remedy any and every problem you may have with your motor. 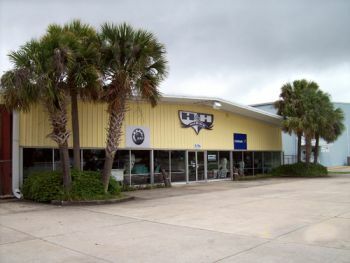 Our comprehensive parts department sells a full line of parts for Johnson and Evinrude motors, as well as stocks parts for Yahama motors. We also offer a comprehensive line of Marine Accessories and Trailer Parts. Come in and let our professional parts team determine and locate exactly what you're looking for. H&H Marine sells the full line of Evinrude, Pro-Drive and packaged Yamaha engines. And we are proud to be a Platinum Rated Evinude Dealer. H&H Marine is a proud dealer of Magic Tilt and Sport Trail trailers. We invite you to browse the full line of styles and sizes on Magic Tilt's website, all of which are available through our dealership.